LIVE FROM TWO CONTINENTS AT ONCE! The next 12 days are jam packed with excitement because we have TWO adventures happening ON TWO DIFFERENT CONTINENTS at the same time! From the trails of the Andes Mountains to the snows of Kilimanjaro, make sure you follow our team along as one makes their way to Machu Picchu along the Salcantay Trail, and the other heads towards the Roof of Africa on Mt. Kilimanjaro! 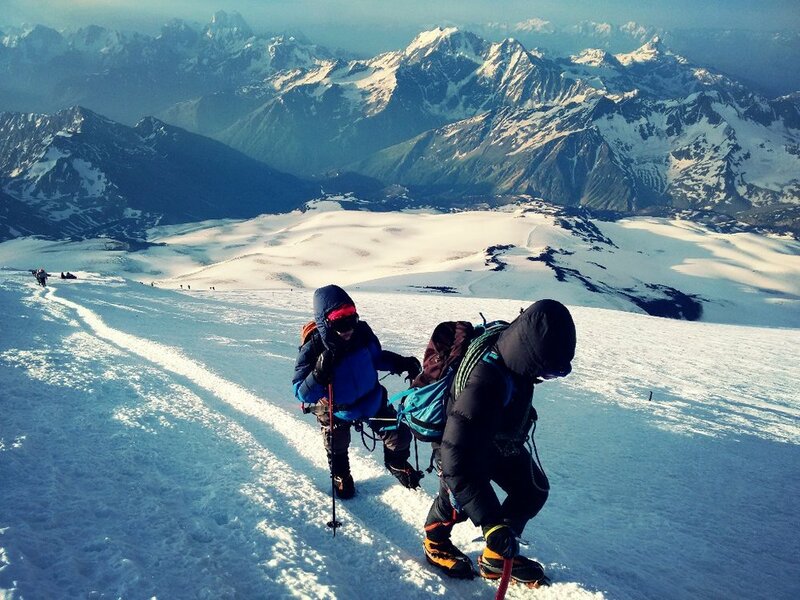 A little over a week ago, our team of 15 adventurers climbed for 12 hours in winds up to 45 mph to the top of Europe on our inaugural WHOAx Expedition to Mount Elbrus. We reached the summit at 10:35 am on Tuesday, July 18th, and could not have done it without each other's positive energy. We all agree, it was one of the best experiences of our lives, but also one of the hardest! One of the highlights for all of us was meeting Polina (pictured above, playing the ukulele), who wouldn't let the fact that she has a prosthetic leg stop her from achieving her dream of summiting Mount Elbrus. Thanks to you, our generous WHOA family, we were able to surpass our $2,500 fundraising goal to help make Polina's wish come true! Last Wednesday, after several training hikes and acclimatization climbs, Polina reached the saddle of Mount Elbrus at 5300m safely! Her accomplisment, showed a tremendous amount of courage and strength, and we are honored to have shared and supported Polina on this journey. Polina said of the experience, "One thing is for sure, I will be back on this mountain." How cool is that? Polina's story is big news in Russia. Check her out, featured on the news below.